The ignorance and stupidity from all these SUV owners never fails to surprise me. Do you know any other examples of stupid SUV owners? Now now that's just a case of general stupidity. It's not necessarily tied to SUV owners. Some people have no regard for the environment, in the main city near where I live, littering is rampant, but that is hardly surprising with all the council houses and pubs in that area. On friday and saturday nights it becomes a pig sty. She got to do this for 2 years before anyone ever said anything to her? Wtf? And yeah, it's not about SUV owners and it's just someone being careless, but I suppose it does somewhat go along with the same mentality. Haha, her name is rather ironic. SUV owners anger me. There are so many women driving SUV's in my area, all they do is drive to pick up their children from school, they don't need such a big vehicle. 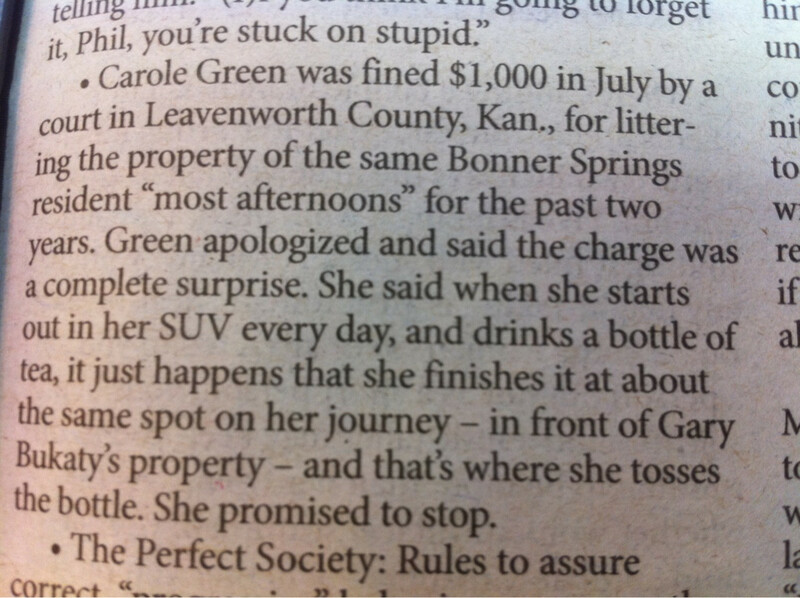 I'm glad she was fined, that should make her think twice about throwing rubbish out the window. In Australia we don't have SUV's that are the same as the American concept, however we do have vehicles such as the Nissan Patrol and Toyota Land cruiser..
An Australian prime minister Paul Keating once called them a pox on our roads... I think he hit the nail right on the head. I agree that there was no reason for the author of the article to connect the littering in this case with the fact that the woman drives an SUV. That being said, the topic of this thread caught my eye because honestly, I think owning an SUV is stupid. They waste too much gas, they take up too much room on the street and in parking spaces, and they are unnecessary for most people. There is no reason why people in urban areas need to drive giant trucks, and SUVs are a complete waste of space, in my opinion. Until we stop viewing our vehicles as extensions of our own vanity, we will continue to see some major environmental problems that are totally preventable.